Being part of the Jane Austen Literacy Foundation is honoring Jane Austen in the best way possible. What would Jane’s life have been without being able to read or write? We would never have met her fantastic and unforgettable characters. Literacy empowers people. Even 200 years later, women still need to be empowered, desperately so in many countries. If I can do a little bit about this I think it is my duty – especially being a former teacher, a fan, a reader, and a woman whose father invested all he could in her education, just as Mr. Austen did with Jane. Therefore, it’s also a way of honoring my own father. So many people take advantage of Jane Austen’s genius but Caroline Knight along with a nice group of people decided to give it back to the community and honor the great writer with a Literacy Foundation. I’m proud to be one of the contributors. If you ever thought about giving back and just doesn’t know how, please keep reading. These are modern times and there is really no excuse someone should not have access to books or, at least, e-books. Our fight is to have as many children as possible, have easy access to a library or e-library. How would you like to volunteer and also be a Literacy Ambassador? All you have to do is to email admin@janeaustenLF for a sign-up pack. It’s as easy as that. Here you can see all that will be required from you and how you can be part of this amazing fight! We are fighting to change those catastrophic numbers (on top) and honor the memory of Jane who did so much with so little. Any help is important. Any contribution is welcome. If none of that is feasible for you I advise you to follow and share our online magazine – Pride & Possibilities. It’s a series of very interesting articles about all sorts of subjects. It has something to please everyone. 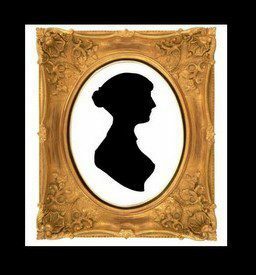 If you would like to be a Jane Austen Literacy Foundation (JALF) Literacy Ambassador, email admin@janeaustenlf.org for an information and sign-up pack. We would love to have you join our wonderful team of volunteers helping to increase literacy rates, in honor of Jane Austen. The Literacy Ambassadors program will be run by author Cassandra Grafton. Cassandra is a key volunteer for the Jane Austen Literacy Foundation and manages our day to day administration. Become a Literacy Ambassador and help kids all over the world to get an e-library – one school at a time and much more! Email admin@janeaustenLF and get your sign-up pack.